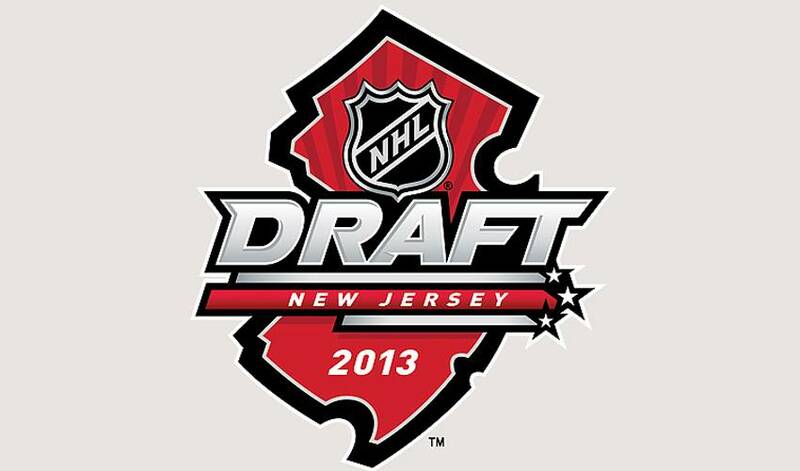 After an exciting 2013 playoffs that featured an Original Six Stanley Cup Final, the excitement carried all the way through the NHL Draft in New Jersey on Sunday. A hot and humid weekend in the Garden State culminated on Sunday as a large and energetic group of fans packed into the Prudential Center in Newark to witness the best young-hockey players in the world take another, and crucial step, in their journey towards becoming NHL stars. As it turned out, it was not only the draft picks that provided the drama. While the top picks in the first round certainly did not go as many had predicted, there were also trades made involving some well-established NHLPA members that also had the building, and the social media world, buzzing. The Colorado Avalanche started the festivities by selecting Nathan MacKinnon, the star forward from the Halifax Mooseheads of the QMJHL, with the first overall pick. MacKinnon, who helped lead the Mooseheads to the franchise’s first Memorial Cup championship, emblematic of Major Junior Hockey supremacy in Canada, cemented his place at the top of the draft with a strong showing in the playoffs this past spring and was touted by many as the player who would go first overall. Following the selection of MacKinnon, things took an interesting turn. The Florida Panthers moved away from the consensus top-three players and picked Finnish forward, Aleksandr Barkov with the second overall pick. The strong, offensive forward was certainly mentioned as a possible top-five pick, but not a player that many pundits had in the top-three. The Tampa Bay Lightning were the third club to the podium and they called Jonathan Drouin’s name. A teammate of Nathan MacKinnon in Halifax, Drouin moved steadily up the draft sheet all season with a dynamic display of high-level offensive skill to go along with a dedicated and complete game. Drouin will look to join players like Steven Stamkos and Marty St. Louis in a Tampa line-up that will not be short on offensive talent in the years to come. The Nashville Predators were the beneficiaries of Seth Jones falling out of the top three, selecting the towering defenceman from the Portland Winterhawks with the fourth overall pick. Jones will work to join a blueline that is anchored by perennial Norris Trophy candidate, Shea Weber. The host New Jersey Devils also lit a spark of excitement in the building, and all over the hockey world, when it was announced that they had traded the ninth-overall pick to the Vancouver Canucks for goaltender, Cory Schneider. This immediately set-off a flurry of reaction in the media area in the Prudential Center, and generated a loud response from the Devils fans in attendance. The Canucks then used the ninth-overall pick they acquired to select Bo Horvat from the London Knights of the OHL. Some other notable from the first round included Swedish prospect, Elias Lindholm going in the fifth-spot to the Carolina Hurricanes; Ottawa 67’s star forward, Sean Monahan drafted sixth-overall by the Calgary Flames; physical defenceman Darnell Nurse to the Edmonton Oilers with the seventh-pick. Two European prospects, Rasmus Ristolainen (8th overall to Buffalo) and Valeri Nichushkin (10th overall to Dallas) rounded out the top ten. The first-round of the draft also featured some trades involving current NHLPA members. The New York Islanders swapped forward Nino Niederreiter to the Minnesota Wild for forward Cal Clutterbuck and the 70th overall pick in this year’s draft. The deals continued with Tyler Kennedy shipped to San Jose from Pittsburgh for a 2013 third round pick. Forward David Bolland was dealt by the Chicago Blackhawks to the Toronto Maple Leafs for two picks in the 2013 Draft (2nd round & 4th round), as well as a 4th round pick in 2014. The Sabres and Hurricanes got into the act, swapping defencemen, with Andrej Sekera going to Carolina and Jamie McBain and a 2nd round pick in the 2013 draft going back to Buffalo.